It is hard to cover all of the notes on the Fret board no matter who you are. And barring chords? Forget it! However, there are those of us who know that we are running with a smaller set of paws than the average bear. But we still want to rock out the guitar. Having shorter fingers does not make you an inferior guitar player. Solutions are here! 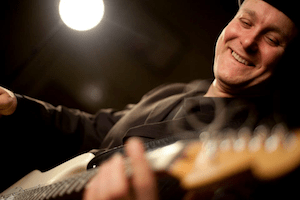 In this article I discuss some ideal guitars for guitar players with smaller hands. Also, I cover some techniques that can help. Here are some options that have slimmer necks and small-hands-friendly fretboards. Check them out. they should do what you want. After all, we have custom fits for almost everything in life that we do, from clothes that we wear to bicycles we ride to earbuds we use. Why not find the right fit for your instrument? The Epiphone PR-5E is a slimline model that has been around for years and is designed primarily for entry-level players. Its quality and build, however, will please even more seasoned players who are willing to give it a chance. Despite the slimline build of this acoustic-electric, it retains a beautiful tonal quality. This is due to the solid parts construction and the high-quality wood selection and you will find that it produces a very rich and full tonal range. The body is made of mahogany to create a warm resonance, while the select spruce top delivers a kick of clarity to keep the tones from being muddled. Immediately out of the box, the neck action is well adjusted and easy to use to save you the hassle of taking it to a store for immediate adjustments. There is also an adjustable truss rod in the neck. The rosewood fingerboard is very well engineered, making it easy for any musicians of any level to experience smooth playing. It also comes with a good quality built-in tuner that is simple to learn and easy to use for smaller hands. This guitar now comes updated with the new Nano Flex pickup system Epiphone eSonic preamp which allows this instrument to really come alive when you plug it in. The features on the preamp include not only the tuner but also features such as automatic muting on the output which eliminates popping noises when plugging and unplugging the guitar, making this pickup an ideal choice for stage performances. State of the art controls includes Bass, Treble and Master Volume, two tone controls, a low battery signal, a phase switch that helps you eliminate unnecessary feedback and more. The preamp runs on watch batteries which are not only extremely lightweight but will also prove to be significantly longer lasting than 9Vs. The low impedance NanoFlex pickup, located under the PR-5E’s saddle, is made of a sensing material that is flexible and unique that picks up vibrations from the top and body as well as the strings to provide a full and richly true acoustic tone. This package also comes with manuals for both the guitar and the equalizer/tuner unit as well as an Epiphone bumper sticker and model poster and additional literature that contains links for recommended lesson information and sites to enhance your learning experience. The shorter scale of the Epiphone, combined with the Mahogany/Spruce body makes this instrument a top pick for those who want both sound quality and playability. The pre-installed pickup makes this one the perfect choice in my opinion as the most versatile option. The Yamaha FG700S is a really great quality acoustic. It easily compares to guitars priced in a much higher range. There are multiple aspects of the build and wood on this instrument that give it such a high quality and set it apart from other beginner guitars in the same price range. 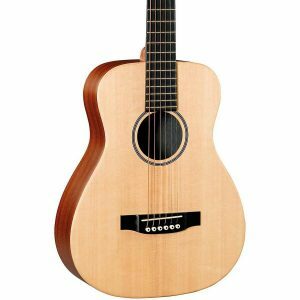 The full thickness top is made of solid Sitka wood and the rosewood fingerboard is consistent and very nice. The neck consists of solid Mahogany with a satin finish making for incredibly smooth movement up and down the length of the neck and the entire back is one solid piece. High gloss finish is found on the headstock. The pickguard is plastic but that in no way takes away from the overall look on the finish. If anything it looks quite exotic and impressively like real brown tortoise. Also plastic are the bridge pins, nut, and saddle. The bridge is constructed of rosewood (though this may change with new restrictions on the use of rosewood) but left with no finish for a very natural look and feel. The lettering on the headstock is impeccable and has a wonderful pearly shine to it as do the fretboard markers. This unit has low and easy action. This is great for beginners because it won’t discourage playing by causing fingertip soreness and pain, a common result in other guitars (especially cheaper models that are normally purchased by newbies just beginning their playing journey) which have a higher and therefore harder to play action. The low action makes this one the undisputed choice as the best guitar for small hands. If you have found guitar playing to be needlessly frustrating, you need to look at this one. You will find that this model will provide you with a true and reliable tone. Whether you are playing soft, light tunes or lashing out faster, harder pieces, this instrument will put out good sound without distortion during rougher and heavier playing. The full sound is suitable for a wide variety of selections and styles and the intonation and projection are both impressive and pleasing. The coated strings make for smooth and easy playing and the unit holds its tune very well. I love how this instrument is one of the few I found that is full-size. Personally, I would go with the Epiphone as it is a good guitar. However, if you need to save some money, this Yamaha is a stellar choice. This standard sized dreadnought truly is a top quality instrument for being entry level and would be hard to match with any other guitar in a similar price range. This is probably one of the best-selling guitars for teens and others with small hands. Martin guitars need no special introduction. This company has established its reputation a long time ago with some of the best acoustic guitars, and their instruments are simply some of the best in the class. Martin’s LX1 Little Martin is a travel, also known as parlor guitar that brings you a good portion of that authentic Martin sound in a more compact package. This particular model is aimed at those who want a solid instrument on a budget, and also one that is easy enough to transport. With that said, let’s take a look at what this Little Martin brings to the table. When it comes to the materials used to make this model, you are looking at a large portion of the instrument made by HPL, or high-pressure laminate. If you know acoustic guitars, this information definitely won’t sit well with you right away. High-pressure laminate is actually an artificial material that is supposed to emulate wood. With that said, the top piece is solid spruce, which counters the HPL a lot in terms of sound. Use of HPL allowed Martin to reduce the cost of this model while still giving you an impressive guitar that is built using the highest standards of quality we expect from Martin. The impact of HPL on the overall sound and performance of this Martin is minimal at best. If you didn’t know it was used, you probably wouldn’t even notice anything. The neck is again a laminate design that really works well and has all the right attributes you would need from a good acoustic guitar neck. With a nice East Indian Rosewood fretboard, you are looking at an acoustic guitar that is very playable and smooth. The hardware is pretty much standard Martin. Tusq saddle is a very nice addition in this price range, where you will usually find mediocre quality materials being used for this purpose. Tuners are smaller size chrome design, and they work very well when it comes to keeping the instrument in tune. Speaking of which, since this is a 3/4 scale model, tuning it to G-C-F-Bb-D-C will work much better than standard tuning. Now comes the part where the Little Martin really starts to shine. When you’re talking about travel and parlor guitars, you don’t usually expect a very rich and loud sound. This is normal since these guitars have a smaller body size than a full sized dreadnought. However, Martin LX1 pushes the envelope in this aspect. The solid spruce top does wonders for the color of the tone, allowing this little guitar to have a pretty powerful sound and imposing presence. Compared to something like Yamaha FG700s, Little Martin gives you a lot more character. For a parlor guitar, This model has a shocking amount of volume, which can take you by surprise. When you use the Martin’s M550 Phosphor Bronze strings, which we definitely recommend, you will experience the full potential of this awesome guitar. Martin LX may be little, but with a huge sound to make up for the size. At a very affordable price, you get that proven Martin quality and their sound, which has become a trademark of this great company. If you are looking for a smaller acoustic guitar that is easy to travel with, but still has a whole lot of sound to offer, this Martin is exactly what you need. Click HERE to view the Little Martin! This three-quarter scale guitar packs a whollop of sound quality for being a smaller guitar. Orginally, the three-quarter size guitar had a stigma of being “for kids”. But with the more musicians like Taylor Swift using them as a travel guitar to write music in the bus while they are on the road, these little guitars are gaining respect among guitar players for both their playability and their sound. This guitar includes a gig bag so you don’t need to buy one separately unless you decide to upgrade. While this BT2 Baby Taylor is slightly more compact than the competition, it does use the famous Taylor Guitars dreadnought body shape which makes it larger than a true compact guitar. This larger body sound also helps deliver louder sound when playing acoustically. I prefer a warmer sound, and so I would pick this guitar over the Martin (as much as I love the Martin brand). The mahogany back and sides brings more warmth to your playing, making this a perfect parlour and folk style guitar. 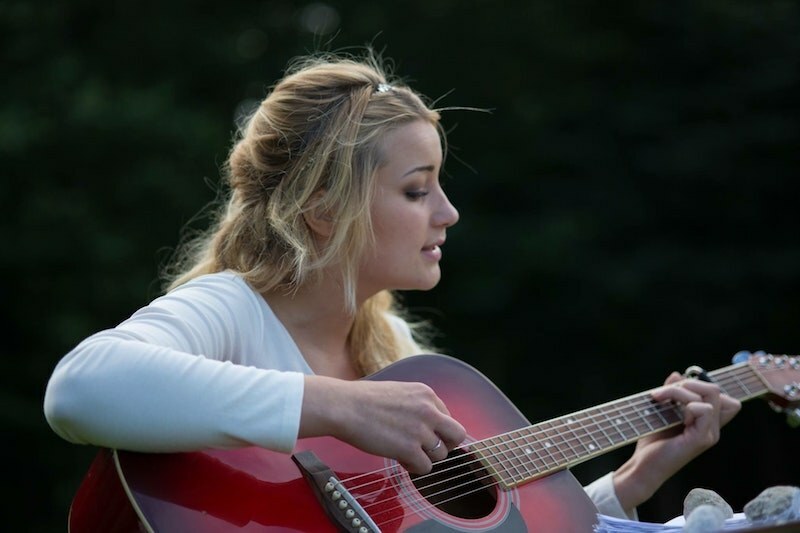 For playing guitar at homes or with friends, you’ll be hard pressed to find better sound quality. This guitar should be a top pick for those of you who want to have fun with your instrument and don’t expect to be doing a lot of stage performing with it. We don’t get as much interest in electric guitars since electrics don’t cause the same challenges for small hands. However, I wanted to provide a couple of proven options for you to consider in case this pertained to your situation. In the 1960s the Les Paul body was redesigned into the this lightweight double-cutaway design. Over time, this new design became recognized as the “SG” and is an iconic guitarin its own right. The SG Special is one of the most affordable guitars on the market. It provides a quality playing experience while allowing you to be part of the Epiphone legacy. What makes this instrument unique for smaller hands is the 12″ fingerboard radius. This means that the curve on the back of the neck is shallower, making it easier to play. It also offers a scale length of 24.75 compared to the standard acoustic guitar’s scale length of 25.5. This shorter scale length makes it easier to create the different chord shapes and shortens the distance your fingers need to reach. The SG Special comes with two humbuckers. You get the 650 humbucker on the neck and the 700T humbucker on the bridge pickup. These are voiced specifically for this guitar and are best suited for rock with a little gritty edge for when you want to access that. This guitar provides some of the best open tones I’ve heard at this price point while still allowing you to create some fun screams and trills. It sounds like a lot more guitar than what you’ve paid for and is ideal for both practicing and the start of your performance journey. The Fender Squier Jaguar brings one of the classic rock favorites and makes it accessible to any budget. For our purposes, we’re in love with the 24″ scale length. This is going to make it easy to fly all over the fingerboard and truly show of your skills unhindered. This pickup is on the other end of the spectrum from the Epiphone with the Duncan Designed Single coil pickups. Frankly, I love the warmth that you get with a humbucker. But I know that there artists who love the bite that comes with a single coil. You’ll have a floating bridge on this one so you can create vibrato for those special moments when you want it. I prefer a non-floating bridge because they seem easier to keep in tune. This is basically the opposite guitar of the Epiphone. If you want a brighter sound and a whammy bar, this is the guitar for you. I’m sticking with my kill pots and warm tones. One of the best things to do is pay for a few sessions with a music teacher. It could be that you just have poor form and that by repositioning your thumb, you could alleviate the problem. Often, it isn’t the small hands that are the problem, but the way in which you use them. Plus, if you have smaller hands, you already have less room for error. So you may need to get some professional coaching to overcome poor muscle memory habits you may have picked up. While they don’t typically make guitars for small hands, each guitar manufacturer adds their own unique design to their instruments. By sorting through these specifications, I can find a few, high-quality guitars that will work exceptionally well for smaller hands. So often, guitar shops are so focused on the sound quality, that they forget to discuss the fit. You need the perfect guitar for your body. Choosing an instrument with a shorter fretboard and a small neck can greatly improve your ability to play. There is nothing worse than being physically impeded by your instrument. It’s like your art is fighting to keep you from succeeding. However, there are not a lot of resources online to help you find guitars for small hands. I’m excited that I get to fill in this gap. After all, there is no reason why you should get stuck with a crappy guitar just because your hand-span is smaller. Below, I review a few guitars that have a shorter fretboard, ideally between 22″ to 24.6″ in string length. This is designed to make it easier for you to reach between the chords and find the correct finger position. These options also have a neck that is easier to reach around, and a lot of my friends with smaller hands have found them easier to play. Electric guitars have a lower action (the strings are closer to the fretboard). This means that you don’t have to press as hard to get a good tone out of them. If your style of playing lends itself to an electric guitar, you might consider switching. Also, hollow body Jazz-style guitars offer a similar action to the electric, while retaining more of that acoustic sound that you love.. Finally, if nothing else, you might try switching out your steel strings for nylons. Sometimes having a string that is easier to press down can fix the problem long enough for you to come up with a solution for working around it. Light strings can make all of the difference when it comes to learning how to play, and nylon strings are some the lightest on the market. Stick with it! If a kiddo can learn to play, you can too!